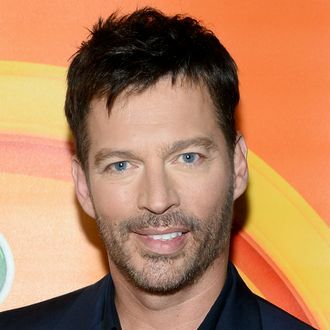 Luck is what happens when opportunity meets Harry Connick Jr. Having already enlisted Al Roker and Carson Daly to fill Billy Bush’s empty Today anchor spot, NBC is now betting on Harry Connick Jr. to be the next face America wants to wake up to in the morning. As Bush is currently suspended from the NBC show following the release of his leaked, lewd “locker room” conversation with Donald Trump, Connick will host his Today hour on Monday, October 17 and Tuesday, October 18. The former American Idol judge already has his own NBC talk show, so it’s unlikely Connick would pick up Bush’s mantle permanently, but all you die-hard Harry heads out there might want to prepare yourself for a crushing emotional blow, just in case.